1 km of Sakura Ave. 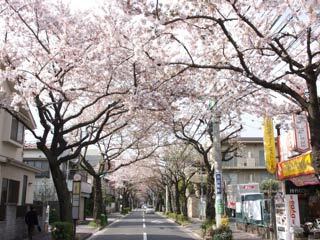 There is Sakura Avenue(桜並木) at Setagaya near Kinuta Park. There are hundreds of Sakura planted for about 1 km of street. It is quiet and you can enjoy great Sakura Avenue during the spring.